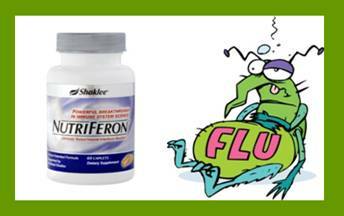 Beat the cold and flu season with Nutriferon! * Please note that these Nutritional Testimonies are from people who are using Shaklee Products. If you want to find out more or place an order please visit the Shaklee official website. You can also sign up to participate in our Free Nutritional Webinars! These Products Helped Cure My Allergies! “In 1975, I developed allergies to dust, mold, grasses, trees, etc. I took allergy shots for three years and the allergies, mostly, went away. In September 1995 I was tested again. I had all of the above, plus allergies to several foods and stinging insects such as wasps and fire ants. I started allergy shots again. In November 1997, I discovered that I had metal poisoning (mercury, copper & tin from my fillings in my teeth, plus lead & other metals). By November 1998, after replacement of my fillings and treatment to remove the metals from my body tissue, my food allergies to the nightshade family, citrus, banana and pineapple went away but I now had allergies to the grains, wheat, corn, barley & oats. And so I continued until a year ago… allergy shots, annual visits to my allergist, avoiding grains (not easy) and carrying around ananakit (in case of a bad reaction). I went to my allergist in January 2001 and declared that I intended to get rid of my allergies. He grunted and said, “right!” After meeting with my Nutritional counsellor, and finding out about the differences in brands of supplements, I was switching brands after 25 years. This was the only change I made in my routine. Well, I went to the allergist yesterday, January 30, 2002 and after my tests, my allergist announced, “All of your allergies are gone, dust, food, mold, everything. How did you do it?” Confidently, I said, I listened to the advise of my Nutritional counsellor and took what she knew to be the best. “I have been dealing with arthritic pain in my left knee and calf and also some in my right hip and leg. I knew I needed to walk for my health but I dreaded walking due to the pain. I found I couldn’t walk around the block with my husband. To climb stairs I had to go up them like a child. I put one foot up and then brought the other foot to the same stair. Going on the subway system was exhausting if I had to climb stairs. Unfortunately I had to do this a few times a week going to work. During a consultation I talked to my Nutritional Counsellor about this difficulty and she suggested a program for me. After the third month on the program I was in much less pain. After the fourth month there was no pain. After the fifth month I am still pain free. I am walking again and I am able to walk up stairs normally. I do Aqua Fit three times a week and am toning my muscles. Another side effect of the supplement program that was designed for me is that when I went away for a holiday recently I did not experience any headaches like I usually do. The headaches are from my change of food during the holiday. I usually indulge in food I’m not used to at home. I credit the Herbal Laxative product and the Detoxification product that was recommended for keeping me headache free. My husband has arthritis in his thumb and the supplements that were recommended are also helping his thumb. “Last evening, I noticed a little achy feeling and I just wasn’t feeling 100%. Maybe 90%. Also, I had just a little tickle in the back of my throat. I knew exactly what my body was starting to tell me. So, I TOOK ACTION! I had heard from my friend Cherie, what she does when she feels something coming on. This is what I took to give my body the chance to slap that bug down before it could bite me. One more thing, nothing works 100% of the time. There have been a few times that nothing I did kept me from getting sick, but those times are rare, perhaps once every 2-3 years! I take 30 Alfalfa, 6 Sustained Release C 500mg, 3 Zinc, 2 Garlic, 2 Multi’s, 2 Immune Complex, 3 Liver Detox formula, 2 Herbal Laxatives to cleanse the colon. That’s what I took last night as the warning signs were setting in. I woke up this morning feeling great and no bug. I zapped it! I know that the bugs don’t like an alkaline body and this progam alkalines the body so the bugs cannot reproduce. IT WORKS! “Over 5 years ago I started getting uterine fibroids. As of last year I had 4 fibroids that would have caused most woman serious pain and bleeding. Three were the size of tennis balls. My fibroids have never hurt or caused me problems, thank goodness. However my gynecologist really thought a hysterectomy would be needed if the fibroids enlarged much more. Also my doctor was very concerned about my bone density test and prescribed medication to improve my bones but I did not take it. Instead I made an appointment for a nutritional consultation. I wanted to try to improve my bones with nutritional supplements instead of using a medication. I also wanted to see if I could shrink the fibroids with the nutritional approach. After the appointment, I listened to my body more and I drank lots of water. I take 6 Tbsp. of Protein powder, 2 Multi’s, 4 B-complex, 3 GLA, 2 Flax Seed Oil, and 4 Calcium/Magnesium with 6 Vita. C per day from my consultants preferred supplier I also cut back on alcohol, caffeine and chocolate as suggested. “I was diagnosed with fibromyalgia 6 years ago. I was on all the standard medication-pain meds, anti-inflammatory, muscle relaxants and the Dr. added anti-depressants because the medical professionals believe it helps the sleep patterns which in turn helps the pain and the pain had been getting worse. My muscles felt like someone constantly pinching them and all my joints ached. I heard about a good consultant and went to see her for a nutritional program. I made some changes in my diet and started on a nutritional program. I knew I needed good nutrition. So I followed her advice and went on an extensive program to alleviate my symptoms. Within 6 months I was off all medication. The supplement most helpful for my depression is B-Complex. The supplements most helpful for the fibromyalgia are: Calcium-Magnesium, Flax Oil and GLA. Of course I do Soy Protein, a multi, Vita-C, Vita-E, Zinc and Alfalfa.